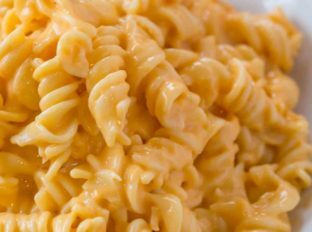 Boston Market Mac and Cheese, made with three cheeses is super creamy and easy to make and the perfect copycat! 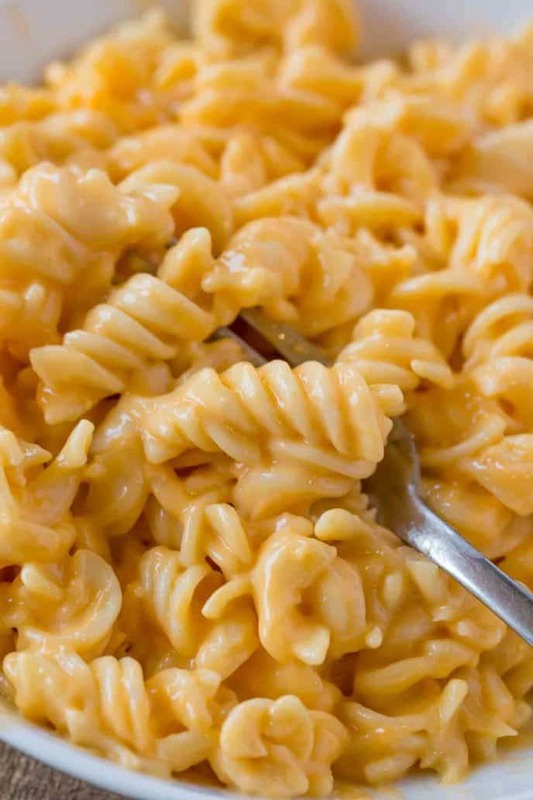 Mac and Cheese is the ultimate comfort food and nothing screams fall and holidays more than comfort food. We’re huge fans of Boston Market here for fast food, the chicken is delicious and we love both the mac and cheese and the creamed spinach. 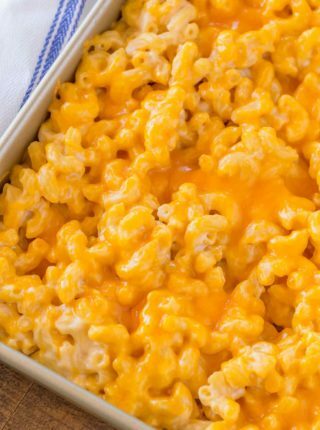 Mac and Cheese has so many versions it is hard to call anything the Ultimate Mac and Cheese, but this creamy mac and cheese is the perfect Boston Market Macaroni and Cheese copycat. 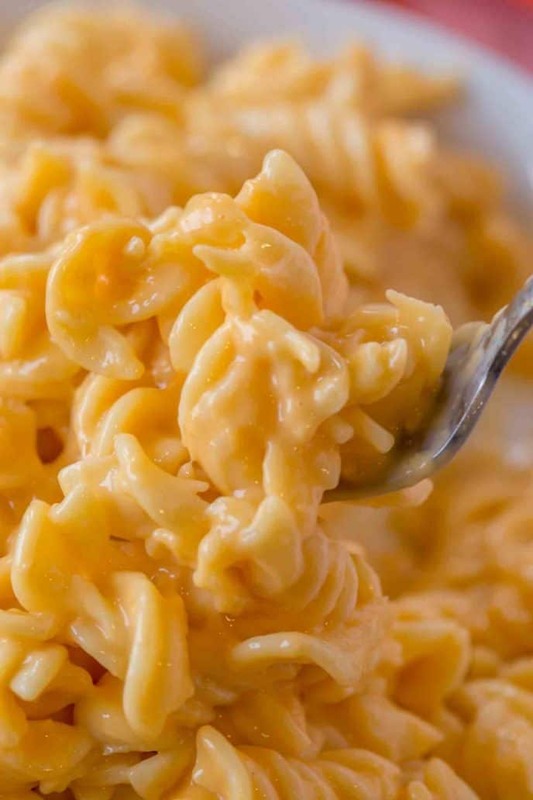 Can I make this Boston Market Mac and Cheese on the stovetop? Yes, lower the heat to a simmer and cover the pot. Cook for 10-15 minutes or until creamy and the liquid is reduced. Adding bacon is an awesomely easy way to make the macaroni and cheese. Swap out half the butter for bacon grease from the pan after cooking the bacon. Then once cooked top with 6 crumbled slices of bacon and stir gently. 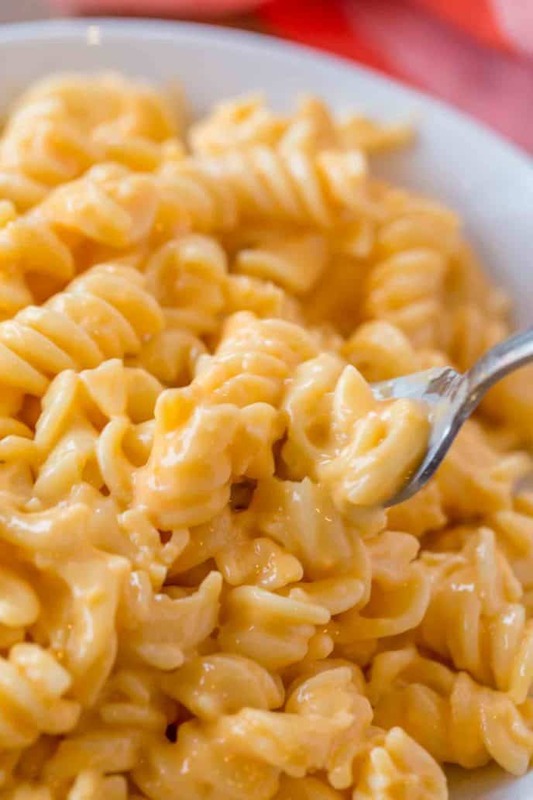 Can I make this Boston Market Mac and Cheese in my slow cooker? 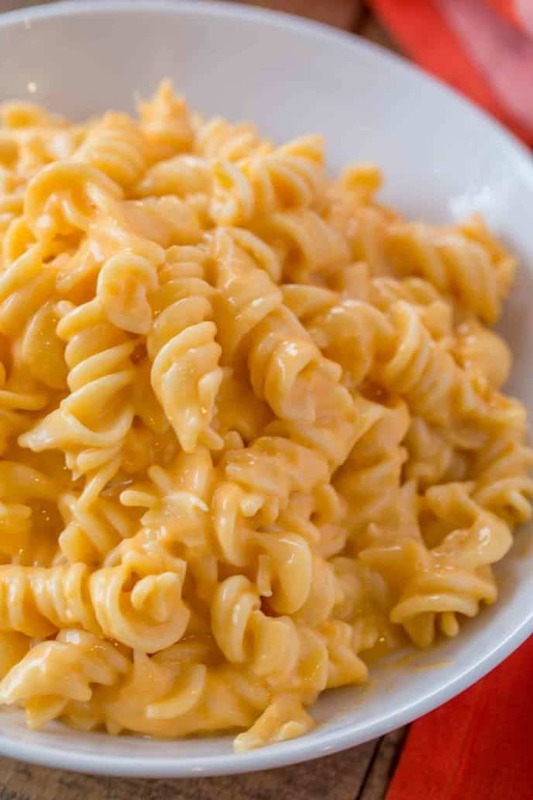 No, I don’t suggest it, but you can certainly make my Slow Cooker Mac and Cheese and add swap out 1/2 cup of the cheese for blue cheese for a similar Boston Market flavor. 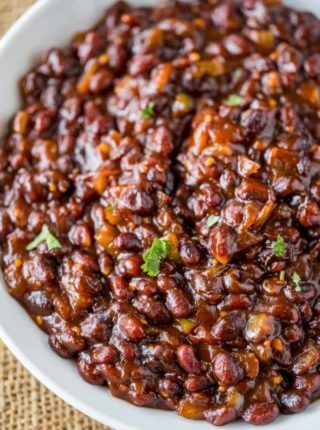 Some other delicious copycat side dishes! You guys know I am ALL about copycats, tell me what copycat you can’t wait to see on the blog, I would LOVE to oblige! In fact I asked this question a couple of months ago and someone said Wendy’s Chili and I bumped up the posting of it to the next day instead of months later because I’d already made it! Baking Pan: This is great as it looks good for serving too! Skillet with Lid: I used my All-Clad pan for this recipe but I also own this exact pan which I use for clients and it is great quality at 1/4th the price. I cook for us with All-Clad pans I hope to pass down to my kids (I’m sappy, I know). Rotini Pasta: Semolina is the first ingredient here, feel free to swap for your favorite pasta shape too. Melt the butter on medium heat, then add in the flour, salt, pepper, and mustard. Whisk until smooth and cook for 30 seconds. Add in the milk slowly in 1 cup increments until smooth. Add in the cheese and whisk until fully melted. Add in the pasta and stir. Pour into baking dish and bake, covered for 20 minutes. I’ve never tested it so I’m not sure. I’m guessing you could just use a different cheese but it wouldn’t be a copycat recipe then. If you decide to try, I’d love to know how it turned out. I also have other mac and cheese recipes on the blog not using blue cheese if you decide to try one of those instead. Good luck! If you followed the recipe exactly, I’m not sure that you did anything wrong. Sorry you didn’t think it was a copycat version to Boston Market. Blue cheese crumbles or dressing? 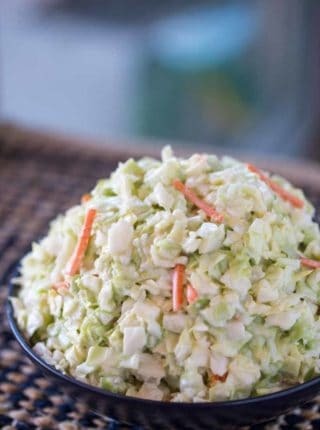 Making this for Thanksgiving. Last night i did a test run and the sauce felt too thick. I’m wondering if it’s the American cheese or cheddar cheese. For American i went with Land O Lakes cheese from the deli And mild shredded cheddar from refrigerator section. Otherwise maybe i had too many noodles…any suggestions on what brands to use ? I don’t even remember what brands I happened to use for this. If you try again and it’s too thick, you could try adding a little bit more milk or cutting back on the noodles. Good luck! Is the pasta supposed to be raw or cooked before adding to the cheese?? are these pictures of the actual finished dish? It seems like the black pepper would show up in the sauce, is that not the case? I remember a mac and cheese recipe I used once that called for white pepper, I wondered if that was possibly for appearance. In any case, I’m going to try the cheese combo of cheddar+american+bleu, great idea! These are actual pictures of the finished dish. 🙂 I really hope you enjoy it! How about Boston Market Cornbread or Cinnamon Apples Copycat to go with this? They’re great sides. I always got the 3 side platter with the Mac n’ Cheese, Mashed Potatoes and Cinnamon Apples and the Cornbread always came with it. Yes, a very filling meal. I know. Some people like me just need the carbs for a high metabolism, so no harm done! So…not sure what I did wrong. I wanted to double it to feed a big group. I’ve made Mac and cheese with no problem before and I just doubled every ingredient. The sauce thickened fine…except the noodles were SWIMMING in it. Should I have done less milk or more pasta? Oh no! Next time, try more pasta to soak up the sauce. So sorry you had issues doubling it. No way I can use blue cheese (some of my family just wouldn’t go for it). Is there any other cheese you’d recommend swapping it out for? Thanks! You can leave out the blue cheese if you’d like, just know that it will change the flavor and won’t be a true copycat recipe anymore. I made this about a month ago and it was awesome; making it again tonight! Would not have thought to put blue cheese in it, but it just makes it. Thank you. So glad you’re enjoying it! I appreciate the 5 star rating! Let me know what you think after trying it! Trust me!! Did anyone actually make this? CAn this recipe be made a day before ? The cheese sauce would harden and it wouldn’t be quite as good unfortunately. 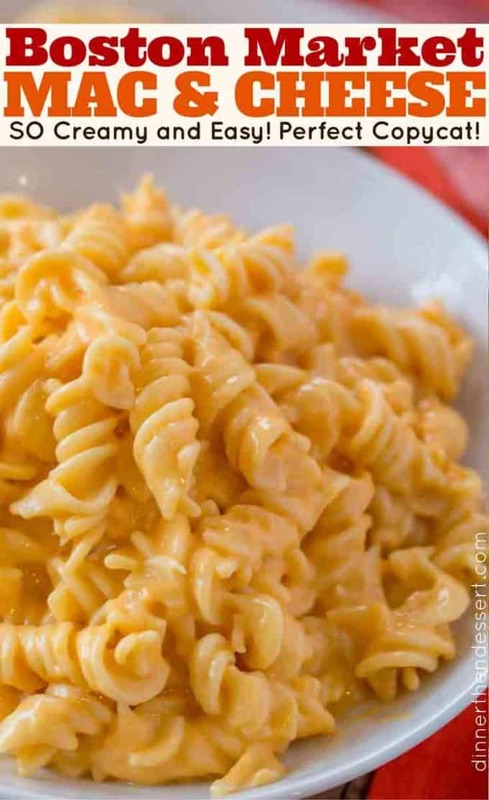 Sweet heavens I need this mac and cheese in my life asap! On my gosh, it looks perfect! Wow! This looks so good! I love homemade mac and cheese! 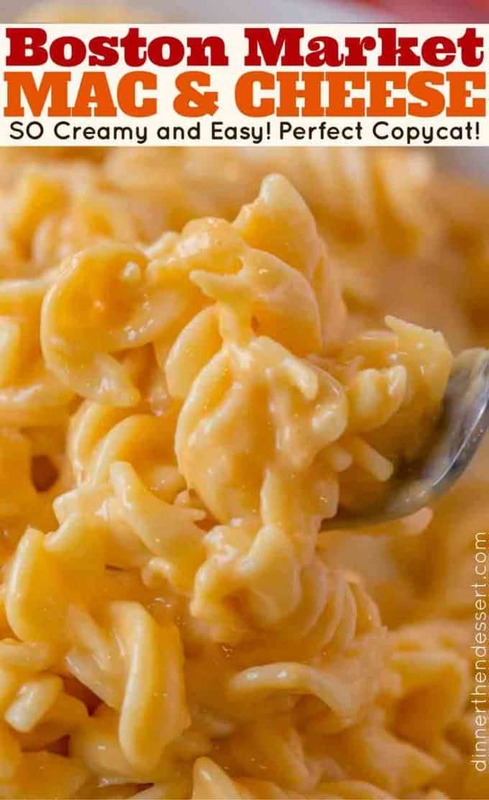 nothing beats a big bowl of creamy cheesy Mac and Cheese!! One of my favorite side dishes from Boston Market!! 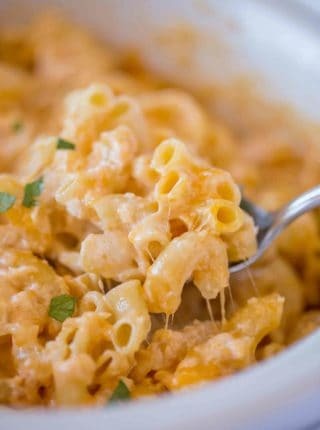 My husband and son are huge mac and cheese lovers, and they would love this! Oooh! This looks so easy and nostalgic!